Often the household uses an electric appliance such as a drill. Every owner knows how reliable an assistant this power tool is. In the necessary places, he easily drills holes of different diameters. This is only possible thanks to drills. During operation, the drill may need sharpening. Some decide to simply replace them by buying new ones. But in most cases, the old drill can be brought back to life. In this article we will explain how to properly sharpen the drill. Consider the differences sharpening drills for wood, metal and concrete. 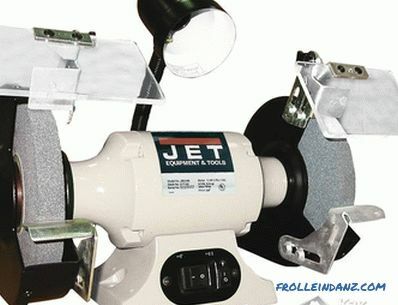 Grinding wheel or sharpening machine. 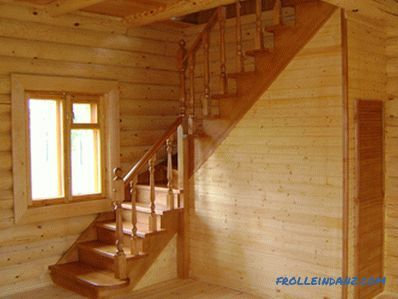 In most cases, drill bits up to Ø16 mm are used at home. Therefore, special difficulties when sharpening such drills you should not. Most importantly, understand the principle of this process. 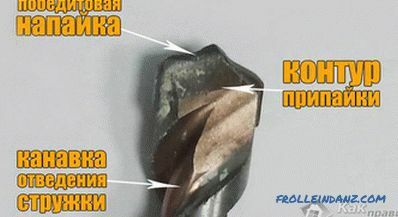 In any case, the sharpening of the drill is performed on the back face. Two teeth sharpen the same. If you decide to do it manually, it will be quite inconvenient. Moreover, it will be extremely difficult to manually maintain the desired shape of the back face and the angle. Single-plane sharpening is characterized like this because the back of the pen has one plane. Rear angle has an average of 28-30 °. When sharpening, the drill must be attached to the circle so that its cutting part runs parallel to the circle. 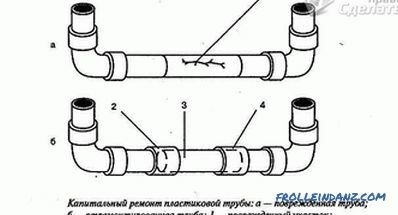 At the same time the drill can not be rotated and moved. This method of manual sharpening has one drawback; the cutting edge of the drill is chipped out. But at the same time for the drill Ø3 mm is the easiest method of manual sharpening. 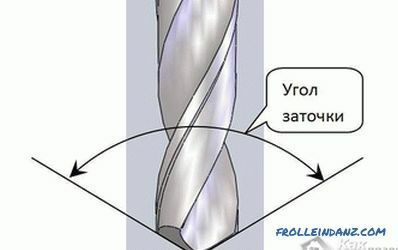 If you want to sharpen the drill more than Ø3 mm, then choose a conical method. Although it is difficult to grind by this method, it is possible. The right hand should take the drill by the tail, and the left by the working part is closer to the intake cone. The drill is pressed to the end face of the grinding stone with a cutting edge and a rear surface. With your right hand you need to shake slightly, thereby forming a conical surface on the edges. Hand movements should be smooth and slow, hands should not be torn off from the stone. To sharpen the second pen, the procedure is repeated. During the sharpening process, it is desirable to keep the factory shape of the drill back of it parts, this will save the desired rear angle. What is the purpose of such a point? 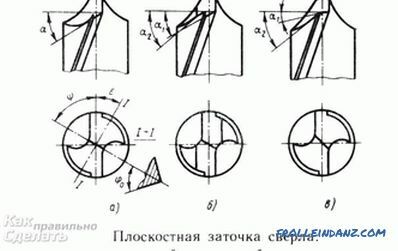 The life of the drill increases by reducing the rake angle, and the angle of the cutting edge increases, respectively, all this increases the resistance of the drill to chipping. The width of the transverse edge will automatically become smaller. This edge does not drill metal, but only scrapes it in the central part. If possible, you can fine-tune the drill. By this process is meant the removal of chipping after sharpening. So, drills will serve much longer. 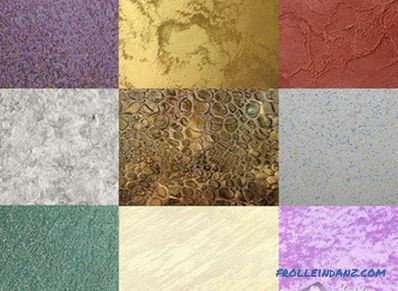 For this process, you can use grinding stones made of silicon carbide green on a bakelite bond with a hardness of M3-CM1, with a grain size of 5-6, a 63C grade of stone. In addition, you can take the grinding wheel from elbor LO on a bakelite bunch with a grain size of 6-8. Sharpening machine with a diamond wheel. If the soldering on the cutting part of the drill has a height of 10 mm, then you can sharpen the drill bit. It is important to take into account one known fact than the harder material, the lower should be the speed of sharpening. On a poker drill, you only need to correct the loosened edges, so its sharpening will be fast. In the process it is important not to rush, otherwise there is a risk of lick the excess surface of the drill. Sharpen the front surface of the drill. In the case when the soldering is already stochna to the base of the drill, you will need a point. 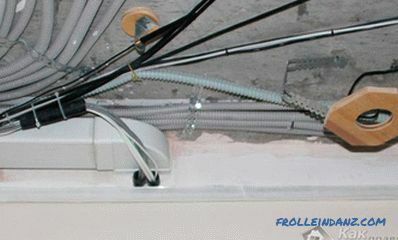 To the thickness of the center of soldering was less, at the same time it is necessary to undermine the front surface. After sharpening, both cutting sides must be the same size, otherwise the holes will be uneven and enlarged. 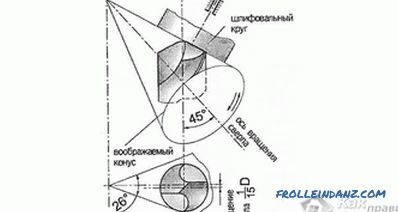 In the process of sharpening pobedit drill it is important to maintain an angle of 170 °, this is especially necessary if the material is sufficiently hard. It is not allowed to overheat the drill during sharpening. Carbide inserts may peel off on it and the surface may crack. 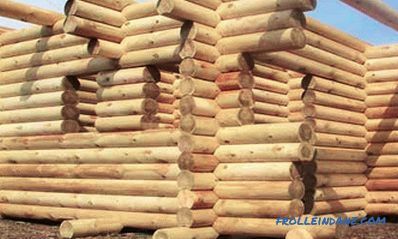 Therefore, the process should occasionally cool the drill in water or oil. 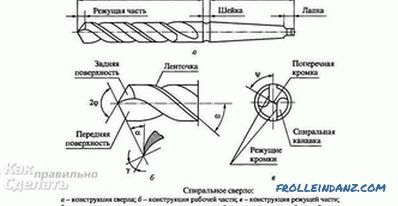 So, we considered the basic principles of sharpening drills for wood, concrete and metal. You can share your comments! 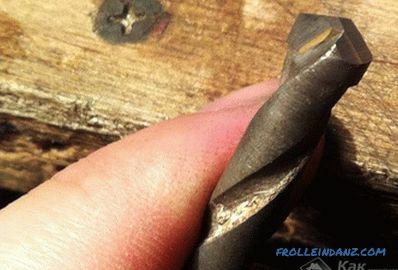 By watching the following videos, you will learn how to sharpen twist drills. This four-part video tutorial details the sharpening technology.